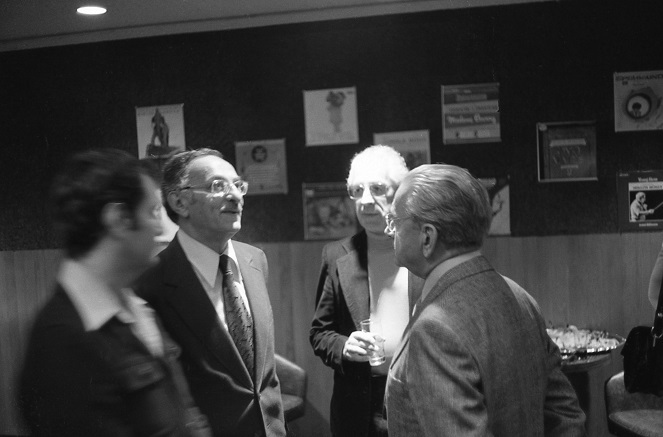 Rózsa at an informal gathering before the showing of El Cid (note soundtrack from the film on the wall behind him). Rózsa talks to fans. 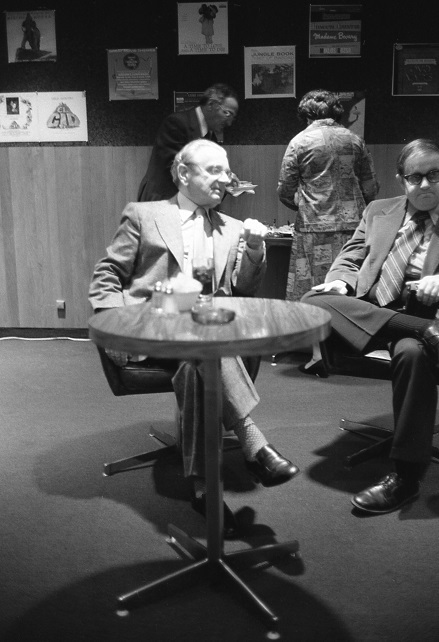 On the right: Charles Rileigh. 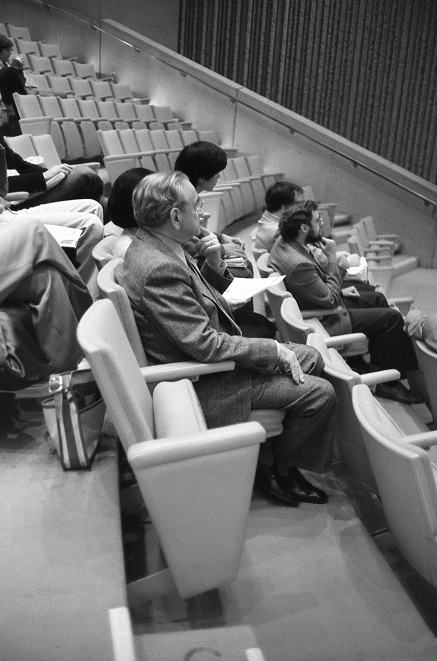 Rózsa talks to unidentified fans. 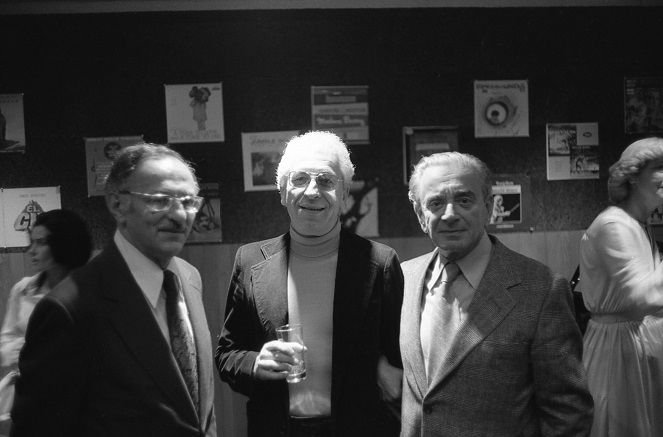 Rózsa with (from left) unidentified person and Canadian composers Morris Surdin and Harry Freedman (both of whom wrote for films). 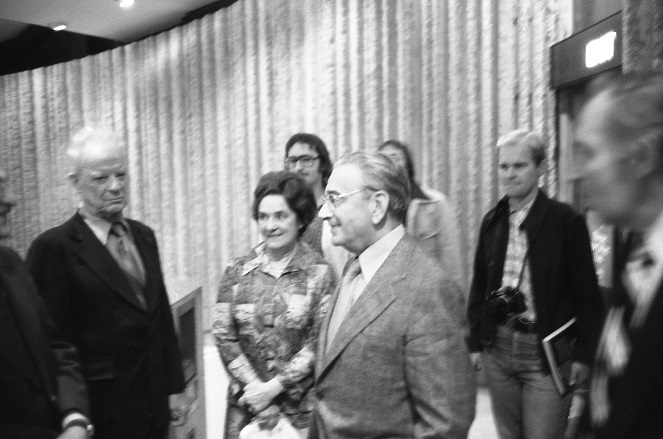 Rózsa with (from left) Morris Surdin and Harry Freedman. 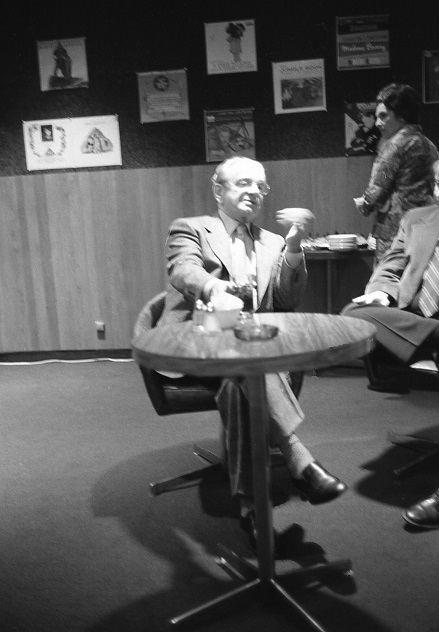 Rózsa seated in the Ontario Film Theatre. 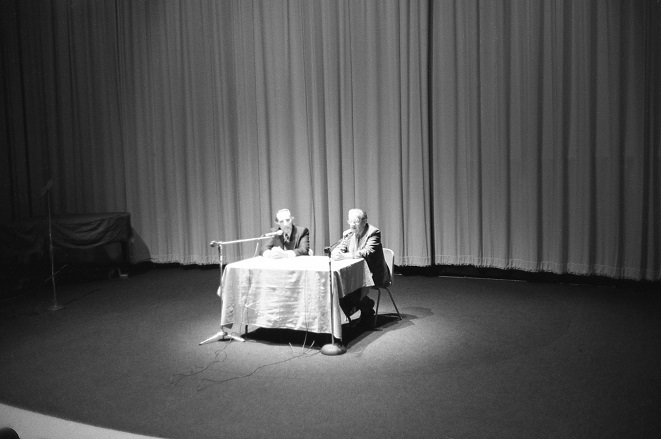 After taking this photo, I went over and introduced myself, saying, "I'm the only 'Q' in the Miklós Rózsa Society." He drolly replied, "We definitely need more 'Q's." 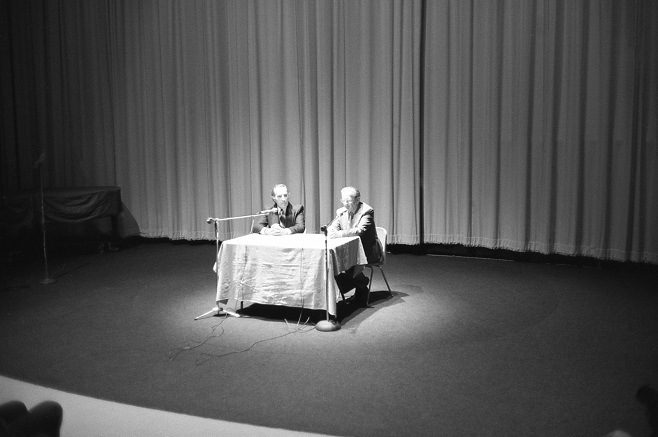 Gerald Pratley and Rózsa take questions from the audience after the showing of El Cid. 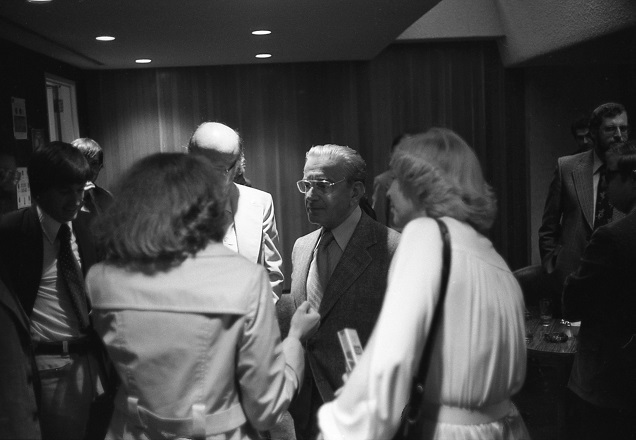 Rózsa on his way out of the theatre after the showing of El Cid. 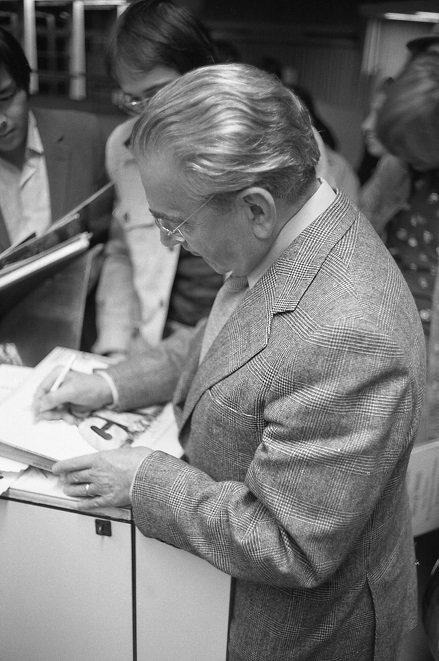 Rózsa signs of a copy of the El Cid soundtrack.